Scott McCaughey was eleven years old when he first heard “Last Train To Clarksville” and became a lifelong Monkees fan in that moment. A few years ago he gathered like-minded Minus 5 cohorts, and, starting with the surreal 10-minute epic “Michael Nesmith”, they crafted a song for each member, as well as one for “Boyce & Hart”, the duo that wrote and produced many classic Monkees tracks. 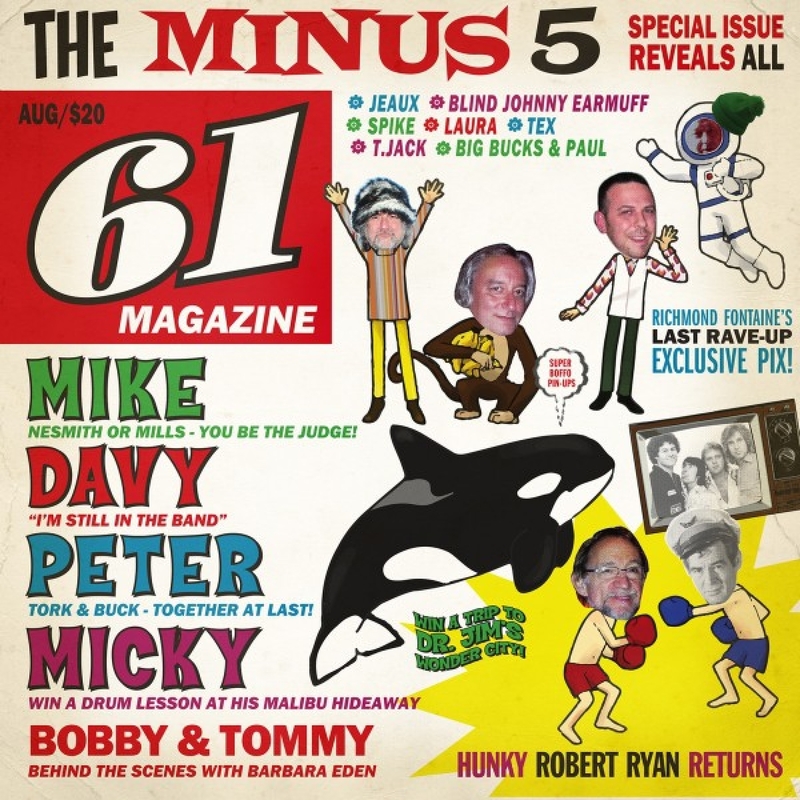 This summer, on the 50th anniversary of the original Prefab Four, Yep Roc Records proudly releases Of Monkees And Men by The Minus 5. Once you're in, you're in - like it or not. See also: Young Fresh Fellows, R.E.M., Baseball Project, Tired Pony, Peter Buck, Tuatara, Robyn Hitchcock & The Venus 3, etc. Invented indie rock and has apologized. Check out Peter Buck (the group) - vinyl only. The Secret Weapon. See also The Tripwires, Less Than Equals. Model Rockets, Stumpy Joe. Currently in King Crimson land. And Peter Buck. Before: Blackouts, Ministry (and offshoots), R.E.M. Also writes and sings his own songs, a real up-and-comer. Portland's own, terrorizes the land with the Norway Rats. You'll find her picture next to 'rock' in the dictionary. Dream Syndicate! The Miracle 3, Gutterball, Danny & Dusty. Simply one of the greats. He's real good at everything. Of Decemberists, and Eyelids, solo band = Perhapst, former Dharma Bum, Jick, Maroon, etc. Guitar, recording, mixing, mastering, artwork. From Fastbacks to YFF to Thee Sgt. Major III to Full Toilet: always BANG ON! A/K/A Jim Talstra of Eyelids, Dharma Bums, Maroons fame. A fine talent - Louisiana long distance assistance. In the Decemberists, Black Prairie, wherever, she's The Magical Music Box. Let there be Quindar. And Wilco forever. Has been known to find a finger. Helmsman of the Split Squad super group.